This entry was posted in An Astrological Miscellany: of cusps, virgins, atomic scientists, Muhammad Ali and much, much more...(13 articles), Why is Virgo called the virgin ? and tagged Artemis, Astrological sign, Astrology, Liz Greene, virgin goddesses, Virgo, Wikipedia, Zodiac. Bookmark the permalink. Hi Anne, thank you for another stimulating post. ‘Virgo’s contemporary association with perfectionism, attention to detail, and devotion to work began a very long time ago’. My South Node is in Virgo in the highly visible 10th house and I have spent a lifetime beating myself up if I perceive I haven’t achieved the epitome of perfection. And it may be over something as simple (and stupid) as the grammatical function of a word, that is, having a change of mind or thinking I could have ‘done it better’ after the horse has been let out of the yard. We are wise to celebrate the beauty of the lessons of the South Node, to develop those precious qualities which identify us on our journey to fulfillment. The human experience has allowed me to recognise that my Virgo has served me well in past lifetimes, yet sometimes less graciously. As I carefully trek towards my Pisces North Node, the tempest calms enough to allow me to see how I have manifested some of those Virgo traits in this lifetime. I am learning not to be so harsh on myself but to claim my rite of passage, that is, to more deeply understand compassion – for myself and others – as I tread this spiritual path. Until again . . . . best wishes Anne. Thanks, Page, for this personal disclosure which will I am sure help readers to gain a deeper understanding of the challenges that the Virgo theme brings. I love this facet of Virgo Anne, it expands and deepens our understanding of the sign tremendously. Thanks Judith, kind of you to say so – your regular comments much appreciated! I love your writing so do what pleases you and thanks for asking. Interesting post, l guess l never really thought about Virgo as having a greater explanation but l grew up with 2 Virgos as parents, 6 years of difference but born on same day AND totally different, my Mum was a Virgo to a T, was once so pernickity with her cleaning & perfectionism that during a meal where my parents had invited friends, she got up midway to dust the coal in the coal skuttle..lol. Needless to say, l grew up and rebelled against being tidy. I think both long and short posts work, a bit of both. Thanks for this interesting and illustrative feedback, Elaine! 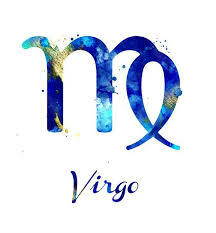 Both my parents were Aries Suns with Virgo Rising…that explains most of my upbringing….!! We all have our audience, Anne. I appreciate your unique perspective and want more quality and depth than quick sound bite posts allow (though I’d read the posts, short or long). Maybe a little of each, to meet the interests of each audience? Occasional shorter pieces might invite some readers into the longer ones. There’s one idea. I’ve contemplated (and done) that ‘some of each’ approach as well. Thanks, Jamie – it’s useful and welcome to have this feedback from a fellow seasoned blogger! I like the idea of a ‘some of each’ approach, especially since I don’t always have the time – or the inclination – to write anything longer. Will ponder upon your suggestion, thanks.